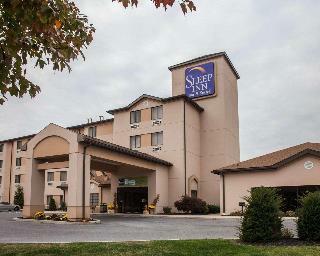 Less than 1.5 km from the Hagerstown Premium Outlets, lies this charming and traditional hotel. Just 16 km away, guests will find the Hagerstown Regional Airport. Teeming with designer and specialty outlet stores, guests interested in shopping will be thoroughly pleased by what Hagerstown has to offer. Guests can relive history at the Antietam National Battlefield, view races at the Hagerstown Speedway, or enjoy a show at the Maryland Theatre. Within 40 km, guests will find the Whitetail Mountain Resort, ideal for ski-enthusiasts. 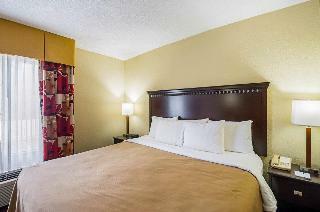 The hotel guest rooms are cosy, yet spacious, offering a relaxing ambience to guests who stay here. Guests travelling for business purposes will enjoy the meeting facilities that are available on-site. After a long day of business meetings or sight-seeing, guests are invited to enjoy the indoor pool and spacious fitness centre. Facilities Travellers are welcomed at the hotel, which has a total of 73 rooms. Wireless internet access is available to guests in the public areas. Those arriving in their own vehicles can leave them in the car park of the establishment. Rooms Rooms feature air conditioning and a bathroom. A sofabed ensures a good night's sleep. There is also a safe. Additional features include a fridge, a microwave and a tea/coffee station. Internet access, a TV and WiFi add to the comfort of the holiday. A hairdryer is provided in the bathrooms. The accommodation offers non-smoking rooms. Sports/Entertainment The hotel offers a gym (for a fee) to travellers. Meals Bed and breakfast is bookable. It is also possible to order breakfast. Conveniently located less than 2 kilometres from Meritus Medical Center, the Comfort Suites hotel offers easy access to Interstate 70 and Interstate 81. 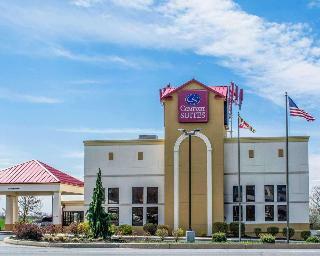 This Hagerstown, MD hotel is close to area attractions, including the Hagerstown Speedway race track, Antietam National Battlefield park, the Hagerstown Roundhouse Museum, the Black Rock Golf Course and shopping at Hagerstown Premium Outlets. The Hagerstown Regional Airport is 15 kilometres away. After a long day, guests can take a relaxing swim in the indoor heated pool. For business travellers, this Hagerstown, MD hotel provides the conveniences of voice mail, multiple telephone lines, a business center and access to fax and copy services. A meeting room is also available for most events and business functions.